It’s officially October, Columbus! We don’t know about you, but we sure do love a cool fall breeze paired with our favorite stouts and drafts. Not to mention it’s Ohio State Football season?! 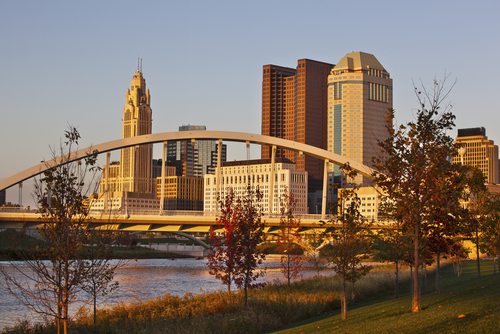 When you’re not posted with us at Arch City Tavern to watch the Buckeyes win, here are some fall activities to try in Columbus! The famous Circleville pumpkin show is back yet again and we couldn’t be more excited! The best of pumpkin flavored everything is less than an hour away from Columbus. Go check out the biggest pumpkin while playing an array of games, fun crafts, and tasty treats! This fun weekend will be on October 17-20 at 159 East Franklin Street Circleville, OH 43113. Boo at the zoo is a great way to get fresh air with the family while having fun! Have the kiddos dress in their best costume to see their favorite animals. Each section of the zoo will present a different theme, sure to make one spoooooooky night! Get your tickets today! A Columbus favorite! This year Nightlight 614 is showing Ghostbusters under the city lights in honor of October. Bring a blanket and get cozy while snacking on local food trucks, and even beer or wine. Their Halloween themed movies tend to go quick, so be sure to snag tickets before the event is sold out! Join us for Happy Hour every Monday-Friday, 3PM-6PM for half off local drafts and yummy eats! No Replies to "Fall Bucket List in Columbus"